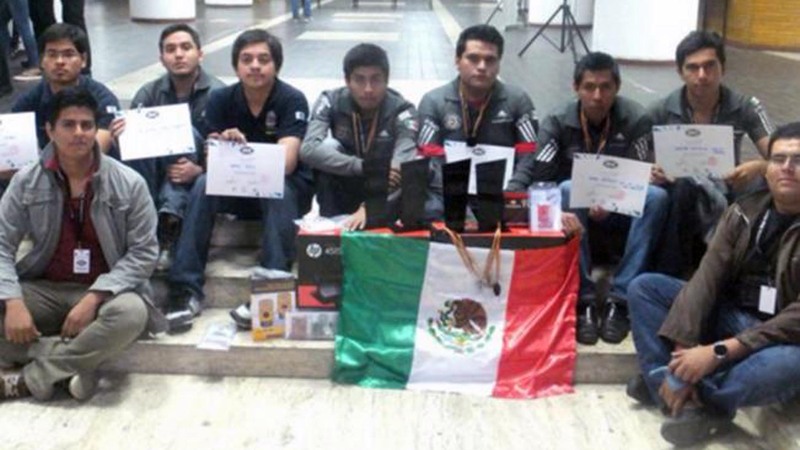 On November 1, 2015, students from the “Instituto Tecnológico Superior de Poza Rica”, Veracruz, participated in the eighth edition of the international robotics competition Robochallenge 2015 at the Polytechnic University of Bucharest, Romania. The team from Poza Rica won first and second place in the “Mini Sumo” category; as well as first and third place in the “Humanid Robot” category. Meanwhile, another team from the Instituto Politécnico Nacional in Mexico City, won first, second and third place in the “Micro Sumo” category and third place in the “Mini Sumo” category. The Secretariat of Public Education (SEP) reported that the Mexican students competed against 198 robots, 80 teams and 280 participants in 10 categories, from countries such as Brazil, Turkey, Bulgaria, Romania and Mexico among others. Robochallenge is a robotics competition designed for those students who are passionate about applied projects and also for those who are willing to learn new things. The competition is aimed to both begginers and experts but mostly to robotics enthusiasts. It comes as a follow-up of the theoretical knowledge achieved in college, and it is the way students can do something pleasant and useful based on the theoretical knowledge achieved. Robochallenge is a competition organized by the ETTI ROBOCHALLENGE team in collaboration with Liga Studentilor Electronisti from the Faculty of Electronics and it is hosted by the Faculty of Electronics, Telecommunication and Information Technology at “Politehnica” University of Bucharest, Romania. Robochallenge claims to be different from other competitions because it stimulates thinking. All teams work under the same regulations and on that basis they build their own robots from scratch, using components and materials that are easy for them to reach. Each team has its own vision and special approach and thus this way new surprises appear every year which shows proof of their inventiveness. Students have access to a laboratory at the Faculty of Electronics, Telecommunication and Information Technology where they are guided into the fascinating world of robotics.